Dendritic cells (DC) are important antigen-presenting cells and are among the least characterized immune cells in the chicken. In order to obtain chicken DC, current protocols require isolation of bone marrow myeloid progenitor cells and induction of DC differentiation with supplemental cytokines or negative selection of splenic cell preparations. Chicken peritoneal exudate cells (PEC) have traditionally been a source of various immune cells for ex vivo studies, primarily to investigate heterophils and macrophages. In this study, we observe the presence of CD205+ PEC populations, a marker of DC, as an additional resource to isolate and study chicken primary DCs. A panel of monoclonal antibodies was developed against the chicken CD205 DC marker and used to isolate CD205+ DC from the PEC population using magnetic bead cell sorting. 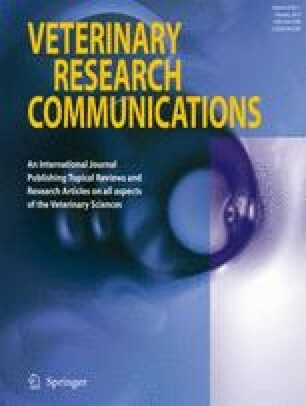 This study reports the development of new anti-CD205 monoclonal antibodies as a reagent for chicken DC research, as well as PEC as a potential source of CD205+ DC for ex vivo studies in the chicken.